It's the vision of a classic dream home: a cozy, clean house encompassed by a quaint white picket fence. 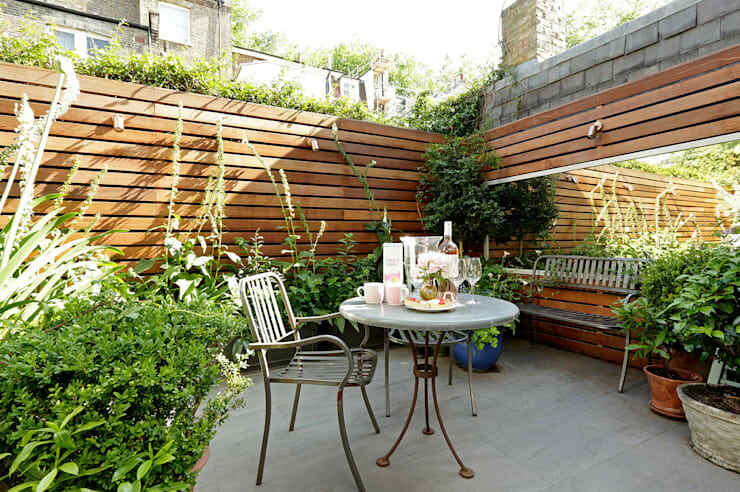 However, as these garden designers have proven, a wooden garden fence can be anything but quaint! Here are some examples of daring, stylish, and earthy designs that highlight the natural qualities of your green space while providing a sense of privacy. 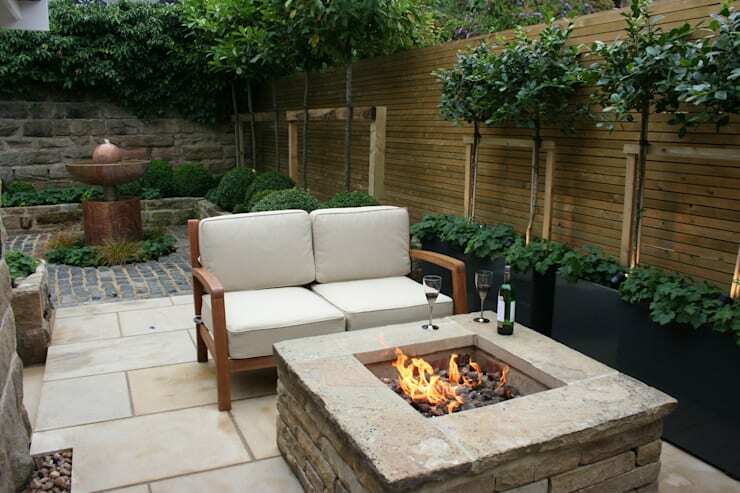 The clever garden designers on homify have put a twist on a classic, offering inspiration for those wishing to push beyond the limits of the ordinary while still maintaining classy, natural vibe. Becoming ever more popular in restaurants, office spaces, and public buildings, the green wall is a vibrant choice for a garden fence. 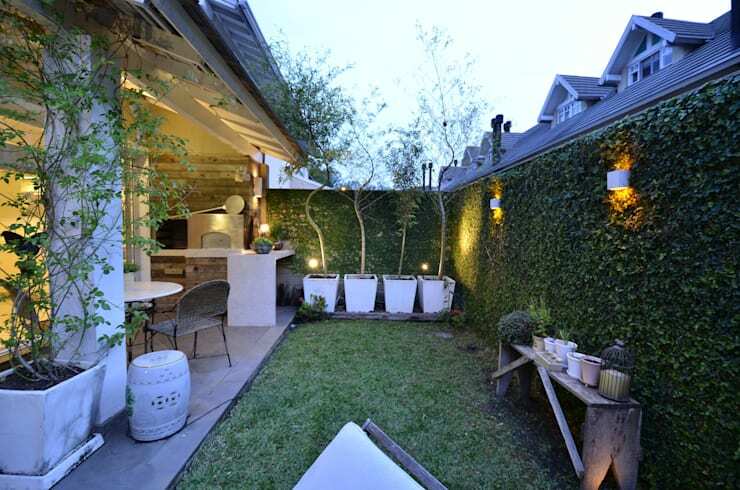 Intimate and soft, a living wall (usually attained with vine plants) provides a refreshing space whose foliage helps to maintain a naturally cool temperature in the heat. Climbing vine plants such as ivy are low maintenance, and they're perennials, which means that they'll regrow each year without needing to be replanted. With this fence, being green is easy. These narrow wooden slats create an instant sensation of horizontal space while offering a neutral backdrop for fireside conversation. 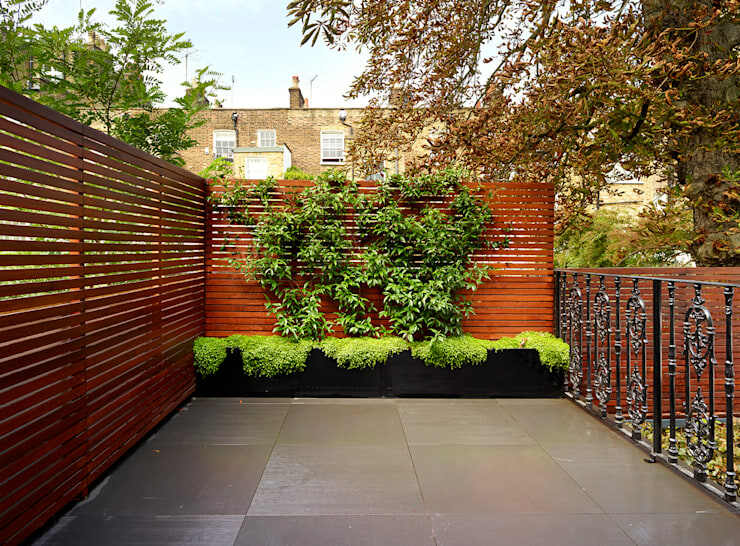 The warm, earthy colour adds to the friendly feel of the garden, and while the small spaces between the slats allow for easy air circulation, the height of the fence still offers plenty of privacy. This messy-on-purpose design draws interest to the intentional blank spaces left in the fence. Aside from being avant-garde, the missing slat design allows more light to pass through, and could be a good solution for any garden that's a host to partial-sun plants. Who said that your garden fence can't also be your garden? 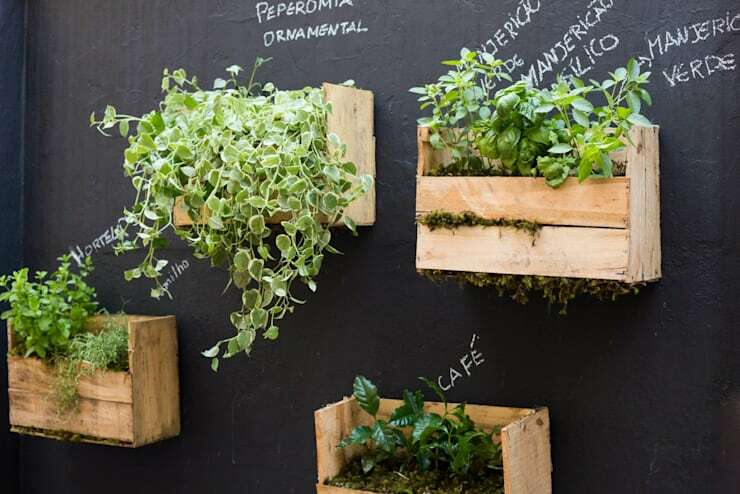 With this ingenious (and stylish) design, you can maximize on space by growing your own herbs in a vertical garden that doubles as a fence. Perfect for anyone who's handy with a hammer. There are plenty of other ways to incorporate edibles into your home's design – just browse through these lovely summer gardens for more inspiration. This tall, horizontal fence is striking in its simplicity, and it makes a great backdrop for the various types and levels of plant life on the patio. Adding a high fence like this almost creates an additional room where there was once a small patio, and it can be a good solution for a smaller home that needs a little more breathing room. 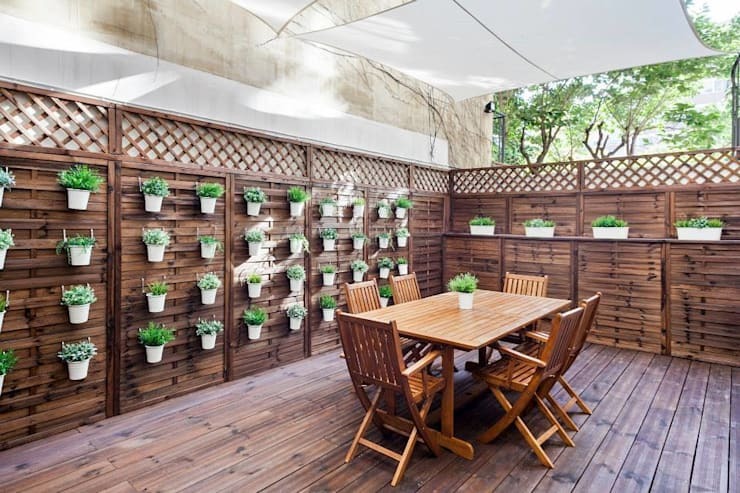 This fence has it all: the rich, warm tones of dark wood, a latticed top for free air flow, and plenty of spots for hanging potted plants – what could be an average wooden fence is converted into a harmony-inducing piece with the even, balanced placement of white pots and splashes of green. Small green space? Add a mirror to your garden fence. This subtle and well-placed mirror not only reflects more natural light into the space, but it also captures the imagery of all the green plants in front of it, creating the presence of even more lush foliage. It has the height of a classic picket fence, but the stained wood and small silver cables combine well for a more modern, minimalist vibe. 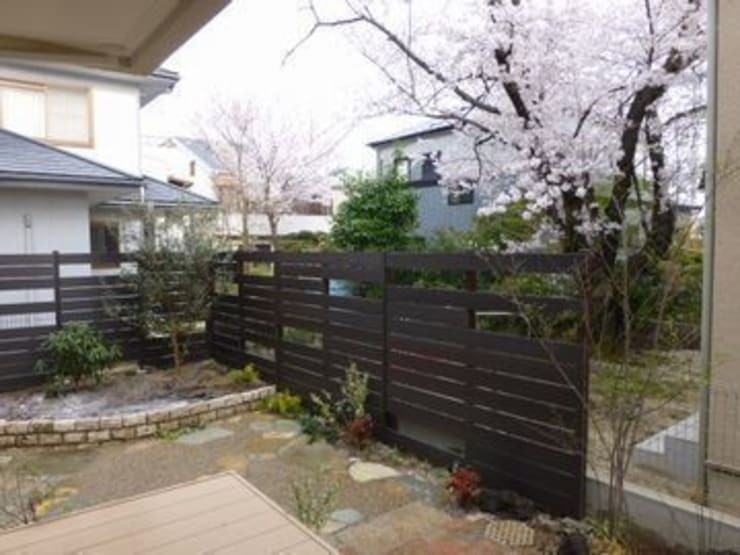 For those who want a fence but also want to maintain a sense of openness and invitation, this simple see-through fence is a good choice. The vibrant colours pop in this cleverly-stained wooden fence. As complementary colours, the red of the wood and the green of the plants create a piece that's so much more than utilitarian – it's a wall of living art. For a step-by-step peek at how you can give your garden some pizzazz through a complementary colour scheme, check out this ideabook about The Incredible Transformation of a Gloomy Garden. 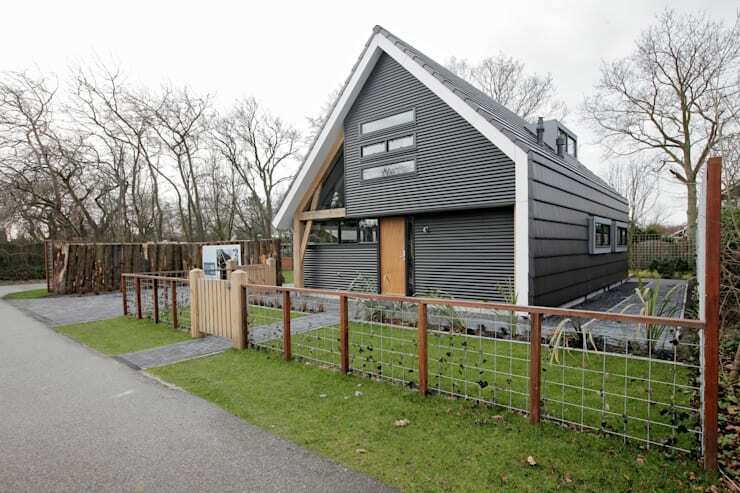 Loving these wooden garden fences? Feel free to comment below!